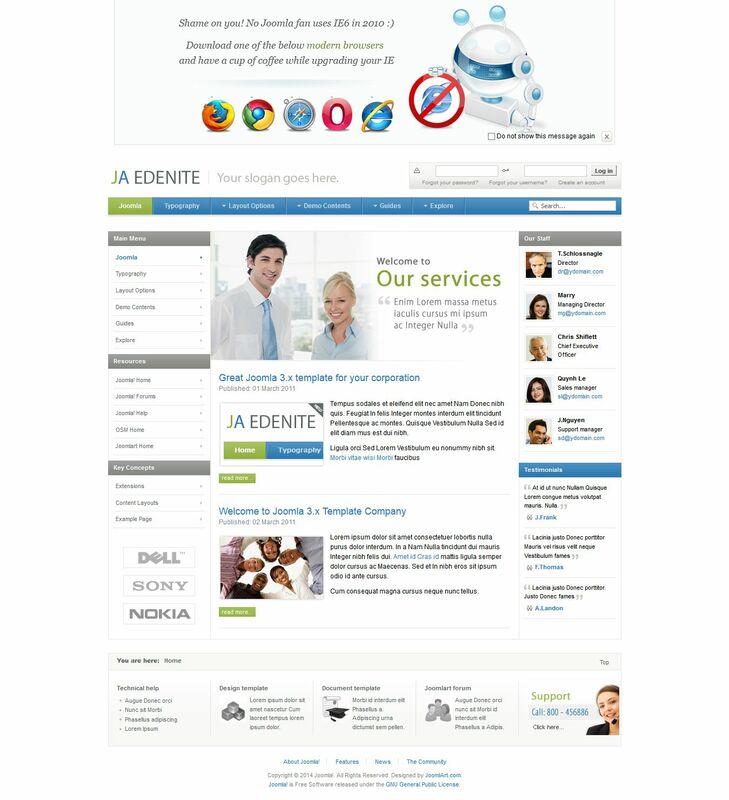 JA Edenite - corporate template from JoomlArt. And, in accordance with the purpose, software company has decided not to overload JA Edenite superfluous effects and various flash zamorochkami putting on top speed of loading pages in the browser. Indeed, JA Edenite loaded pretty quickly, and in the pattern of the options were only four menus: Split Menu, CSS Menu, Moo Menu and the Dropline Menu. JA Edenite looks very stylish and minimal presence graphics only reinforces this impression. For stringent business companies JA Edenite can be a good choice.